ISM’s Health Checks & Readiness Assessments employ our time-tested Top-Down/ Bottom-Up methodology that blends management vision with operational priorities to deliver outstanding results. Engagements typically take 3-4 weeks to complete and include a thorough review of people, process and technology components as they impact your current customer-centric technology programs and/or future plans. Learn how well your customer-centric technology implementation is doing versus “gold standard” industry benchmarks. Where does it excel? Where does it fall short? Which of your sales, marketing and customer service processes are best-in-class? How can user adoption be improved? We examine your technology platform, how well it has been set up, whether required integrations are in place and the quality of your data. Our Health Check concludes with a high-level implementation roadmap to achieve best-in-class status for your customer-centric initiative. 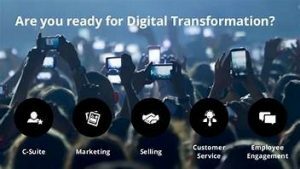 Companies planning to improve sales, marketing or customer-service effectiveness through automation must first make sure they are ready to take the plunge. This is the purpose of ISM Readiness Assessments. Even if glaring needs exist and management is fully committed, simply adding new capabilities to old systems, automating poor processes, or counting on people to change how they work can lead to failure. Make sure your people, processes and legacy systems are ready for your next technology implementation. Interviews with senior executives and site visits with functional-level sales, marketing and customer service personnel across your organization. Detailed findings, presented in person to your executive team, including observations, recommendations including quick wins, business impact and next steps. 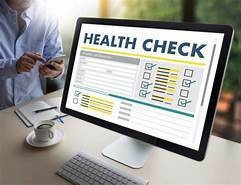 Our popular Health Check/Readiness Assessment Scorecard – an excellent way to quickly understand what you are doing well and where improvement is required. As a follow-on engagement, we can create a comprehensive implementation roadmap to help you address identified gaps and opportunities. To learn more about ISM’s Health Checks & Readiness Assessments, call (301) 656-8448 or email us at sales@ismguide.com.